Do you Need Physiotherapy, Osteopathy or Chiropractic? Throughout our lifetimes, we all suffer from a range of aches and pains that need to be treated. We know that for the flu, we can easily visit the GP, or head to the dentist if we are experiencing toothaches. However, when it comes to musculoskeletal issues, it can be hard to determine exactly which professional we need to go to. If you’re tossing up between a physiotherapist, a chiropractor or an osteopath, read through this handy guide to work out which is best for you. Physiotherapy is concerned with restoring movement and function following injury or physical disability. By assessing the body as a whole, physios can help patients reduce pain, heal from injury and increase mobility. Physiotherapy is popular with athletes who incur injuries, those recovering from surgery, or elderly people who have suffered a recent injury. The aim of physiotherapy is to get patients back to their normal level of function and their health goals, whether that be to keep excelling as a professional athlete or to perform at their labour-intensive job without pain. Physiotherapists will often suggest exercises or stretches for patients to do at home in order to manage their pain and strengthen their bodies, which is excellent as an ongoing way of maintaining your health even after treatment. If you suffer from the above conditions or are wanting physiotherapy after a recent injury or surgery, seek out qualified and reputable physiotherapists so that you know you will be in safe hands. Chiropractic is primarily focused on the musculoskeletal system, spanning restoration, maintenance and prevention of musculoskeletal conditions. These areas include the spine or the extremities, and the various issues these parts may experience such as nervous system interference, poor joint movement or muscular dysfunction. The profession is often associated with the “cracking” of the spine and joints, although of course, there are more techniques to it and seeking out chiropractic services does not mean your joints will be manipulated in this way if you do not want it. Chiropractors also tend to subscribe to the idea that spinal subluxation can have an impact on the nervous system as whole, contributing to problems such as headaches, sciatica and more. Osteopaths focus on moving, stretching and massaging a person’s muscles and joints to treat and prevent musculoskeletal problems. Similar to chiropractic, osteopathy also subscribes to the principle that to achieve overall health and wellbeing, the spine, muscles, ligaments and connective tissue. One key difference between osteopaths and chiropractors is that osteopaths focus more on the body’s soft tissue, utilizing techniques such as myofascial release, lymphatic drainage, craniosacral release, still’s technique and facilitated positional release. 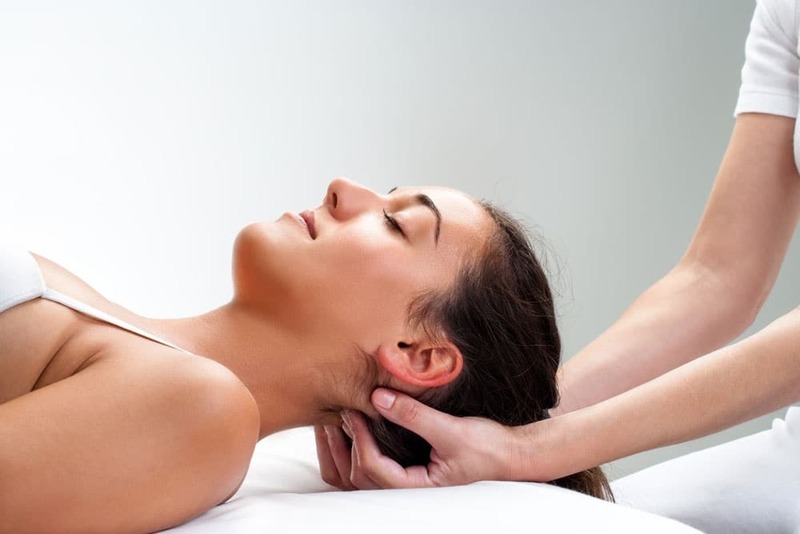 The holistic nature of osteopathy means that you might be suffering for headaches, but have your jaw adjusted, or have your spine looked at for a complaint of shoulder pain, as everything is interconnected. There are of course, medical conditions that all of the above health professionals can assist with, such as the very common problem of back pain. If you are still struggling to decide between the three, try to narrow down whether you are experiencing muscular or skeletal pain. The best choice for you will also differ based on whether you have acquired an injury or are dealing with chronic pain, for example. For peace of mind, consider going to consultations for the options that stand out to you, so you can discuss your unique circumstances with each health professional and determine the best form of treatment for you.